Description: Contemporary exclusive twist action design metal ballpoint pen. Features: Supplied with black ink. Colour: Black. Product Size: Gift Box: 160mm(w) x 35mm(h) x 30mm(d), Pen:135mm(w) x 11mm(diam). Decoration Area: Laser - on pen: 40mm(w) x 5mm(h). Decoration Methods: Engrave. Packaging: Pen is packaged in a black gloss Balmain presentation box which is sitting in a foam polybag and presented in a plain black tuck box with Balmain logo. Packaging size: 164mm(w) x 37mm(h) x 32mm(d). Description: Contemporary exclusive twist action design metal ballpoint pen. Features: Supplied with black ink. Colour: White. Product Size: Gift Box: 160mm(w) x 35mm(h) x 30mm(d), Pen:135mm(w) x 11mm(diam). Decoration Area: Laser - on pen: 40mm(w) x 5mm(h). Decoration Methods: Engrave. Packaging: Pen is packaged in a black gloss Balmain presentation box which is sitting in a foam polybag and presented in a plain black tuck box with Balmain logo. Packaging size: 164mm(w) x 37mm(h) x 32mm(d). Description: Twist action ballpoint pen a must have for all executives. Features: Standard European black ballpoint ink cartridge, Box not recommended for printing. Engraves: Silver. Packaging: Sitting in a black foam insert and presented in a white & black Cutter & Buck 2 part gift box. Packaging Size: 165mm(h) x 35mm(w) x 25mm(d). Colour: Black body with silver accents. Material: Brass. Product Size: 140mm(h) x 16.5mm(w). Decoration: Pad Print, Engrave. Decoration Area: Pad/Laser: 31.5mm(h) x 6mm(w). 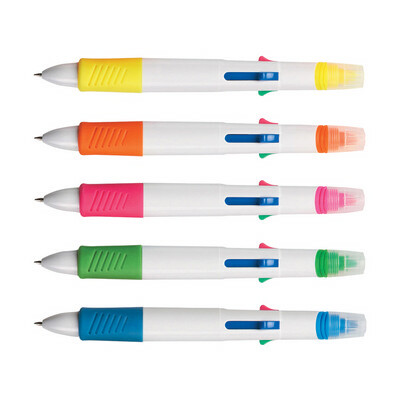 Description: Twist action roller ball pen a must have for all executives. Features: Removable cap, Standard European black roller ball ink cartridge, Box not recommended for printing. Engraves: Silver. Packaging: Sitting in a black foam insert and presented in a white & black Cutter & Buck 2 part gift box. Packaging Size: 165mm(h) x 35mm(w) x 25mm(d). Colour: Black body with silver accents. Material: Brass. Product Size: 140mm(h) x 16.5mm(w). Decoration: Pad Print, Engrave. Decoration Area: Pad/Laser: 31.5mm(h) x 6mm(w). Description: Lightweight ballpoint pen. Features: Matt brushed silver with chrome, Twist action, Supplied in a Balmain gift box. Material: Metal. Product Size: 133mm x 10mm(Diam). Decoration: PAD/LASER. Decoration Area: 45mm x 5mm. Description: Made in koskin leather-look material. Features: Include zipper closure, removable 3-ring binder, pen holder, business card holders, 2x internal gusseted pockets, handy rear outer pockets and includes A4 lined notepad which inserts from the top, Pen not included, Ring size: 26mm Diam, Fits an iPad in the left side pocket/back pocket, Fit iPad holder 9118. Packaging: Polybag. Colour: Black. Material: Koskin Leather Look material. Product Size: 365mm(h) x 260mm(w) x 60mm(d). Decoration: Screen Print, Emboss, Foil Stamp. Decoration Area: Screen: 150mm(w) x 150mm(h). Other Methods: Contact your decorator for applicability and size. Description: Retractable twist action mechanism. Exclusive Cutter & Buck design, this features the Cutter & Buck badge on the clip. Features: Solid brass barrel and tungsten carbide tip with black European ballpoint ink cartridge. Box not recommended for printing. Engraves: Champagne. Packaging: Sitting in a black foam insert and presented in a white & black Cutter & Buck 2 part gift box. Packaging Size: 165mm(h) x 35mm(w) x 25mm(d). Material: Brass. Product Size: 140mm(h) x 14mm(w). Decoration: Pad Print, Engrave. Decoration Area: Pad/Laser: 31.5mm(h) x 7.5mm(w). Description: Exclusive Cutter & Buck design. This features the Cutter & Buck badge on the clip. 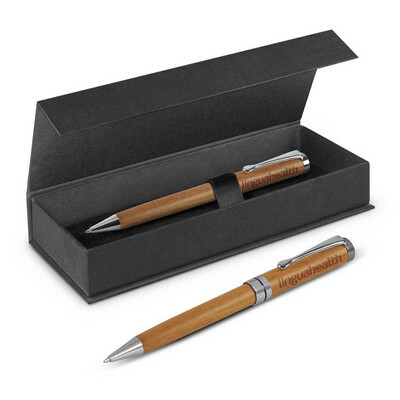 Features: Removable threaded brass cap, solid brass barrel and tungsten carbide tip, Screw on cap enhances executive presentation, Includes black European roller ball ink cartridge, Box not recommended for printing. Engraves: Champagne. Packaging: Sitting in a black foam insert and presented in a white & black Cutter & Buck 2 part gift box. Packaging Size: 165mm(h) x 35mm(w) x 25mm(d). Material: Brass. Product Size: 140mm(h) x 14mm(w). Decoration: Pad Print, Engrave. Decoration Area: Pad/Laser: 31.5mm(h) x 7.5mm(w). Description: Exclusive ballpoint pen with stylised lower barrel. Features: Chrome upper barrel, Satin chrome straitaion pattern lower barrel, Twist action, Supplied in a Balmain gift box, Supplied with black ink. Material: Metal Product Size: 139mm x 12mm(Diam). Decoration: PAD/LASER. Decoration Area: 40mm x 6mm. Description: Stylus Ballpoint Pen. Features: Supplied with black ink, Soft rubberised stylus end, Twist action, Velvet pouch. Material: Metal. Product Size: 136mm x 9mm(Diam). Decoration: PAD/LASER. Decoration Area: 30mm x 5mm. Description: Exclusive Balmain® design featuring striking ebony black bottom barrel with mirror-finish chrome upper barrel. Features: Ebony bottom barrel, Chrome upper barrel, Twist action , Supplied in a Balmain gift box, Supplied with black ink. Material: Brass Product Size: 139mm x 10mm(Diam). Decoration: PAD/LASER. Decoration Area: 40mm x 6mm. 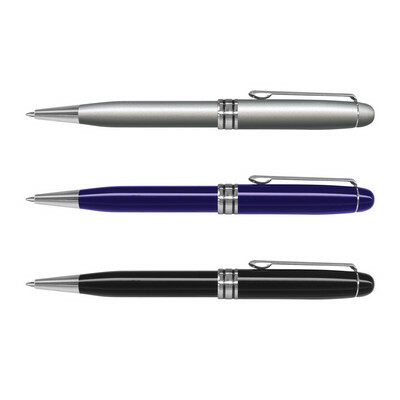 Push button metal ballpoint pen with comfort grip. Optional black suede velvet pouch. Writing distance: 2.1 kilometres. TC roller ball. Nero pigment ink. Colours - Black/Silver, Gunmetal/Silver Size - 140mmL x 13mm Diameter Decoration Area(s) - Pad Print (Max 1 colour print) : Barrel - Rectangle 50mmL x 6mmH, Barrel - Rectangle 32mmL x 8mmH; Laser Engraved : Barrel - Rectangle 50mmL x 6mmH, Barrel - Rectangle 32mmL x 8mmH, * Black pens engrave Gold. Gunmetal Pens engrave Silver.